In the third of a three-game road trip to California, the Griffins fell to the San Jose Barracuda by a 5-4 decision in overtime. The Griffins scored three unanswered goals in their season finale with the San Antonio Rampage on Sunday, earning a 3-1 victory in their fifth-straight game on the road. 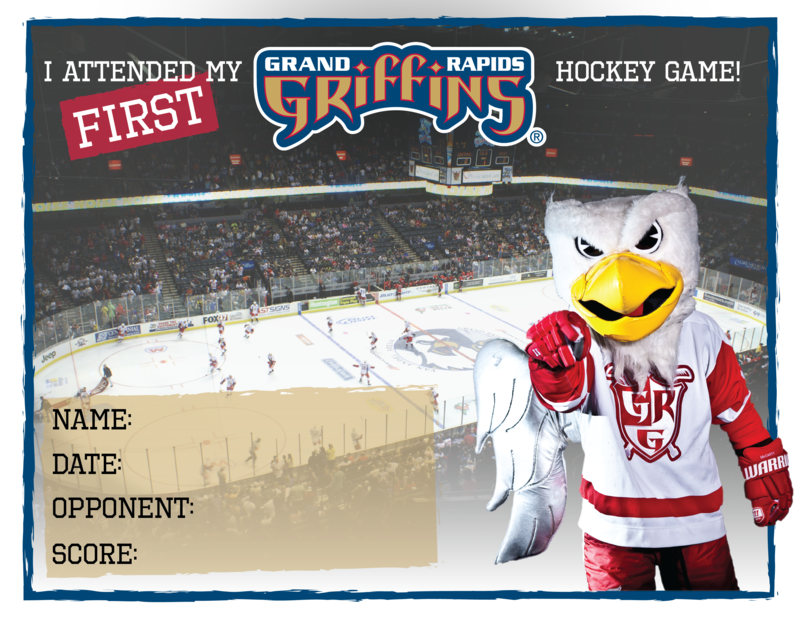 Second season as a Griffin...First year pro. Career Highlights: Made his professional debut with the Griffins in 2016-17, appearing in three regular season games…Set OHL career highs with 44 points and 26 goals in 64 games with Guelph in 2016-17…Led the OHL in PIM in 2016-17 and 2015-16. 2017-18: Split his final OHL campaign between Guelph and Kitchener, combining for 30 points (17-13—30), a plus-one rating and 50 PIM in 46 games…Tallied 11 points (8-3—11) and 14 PIM in 19 games to begin the season with Guelph…Finished the season with Kitchener and showed 19 points (9-10—19), a plus-six rating and 36 PIM…Recorded a season-high three points on two occasions, 1/21/18 vs. GUE and 2/27/18 vs. SAR…Produced 18 points (11-7—18), a plus-five rating and 22 PIM in 18 postseason games with Kitchener as the Rangers fell in Game 7 of the conference finals…Ranked among the team’s playoff leaders in points (5th), goals (2nd), assists (T8th), plus-minus (T6th), PIM (2nd) and shots (70, 3rd)…Tallied eight points (4-4—8) during a seven-game point streak to open the postseason. 2016-17: Set junior career highs with 44 points (26-18—44) and 26 goals in 64 games with Guelph…Paced the OHL with 139 PIM, his second consecutive season leading the league in PIM…Led Guelph with 214 shots and also ranked among the team’s leaders in points (3rd), goals (2nd), assists (T7th) and power play goals (7, T2nd)…Scored a pair of hat tricks, 11/26/16 vs. LDN and 3/4/17 at OS…Appeared in three games with the Griffins after his OHL season concluded, marking his professional debut…Played in his first AHL game, 3/31/17 vs. CHA. 2015-16: Notched 42 points (23-19—42) and 146 PIM in 65 games with Guelph…19 assists set a junior career high…Led the OHL in PIM…Tied for the team lead with seven power play goals while placing fourth on the club in assists, and second in points, goals and shots (185)…Potted a hat trick, 11/1/15 at KIT…Tallied seven points and five goals during a three-game point and goal streak, 1/3/16-1/9/16. 2014-15: Split his first OHL season between Barrie and Guelph and combined for 19 points (7-12—19), a plus-seven rating and 76 PIM in 61 games…Recorded four points (0-4—4), a plus-three rating and 20 PIM in 31 games with Barrie to begin the campaign…Registered 15 points (7-8—15), a plus-four rating and 56 PIM in 30 appearances with Guelph…Made his OHL playoff debut with Guelph and recorded five points (2-3—5) and 18 PIM in nine games…Led the team in postseason PIM and tied for fourth in scoring…Teammates with Tyler Bertuzzi in Guelph…Made his OHL debut, 9/26/14 at NB…Went on a season-high five-game point streak, 1/24/15-2/5/15. Personal: Hometown is Toronto…Has three siblings…Older brother, Gemel, was selected by Dallas, 104th overall, in the 2012 NHL Entry Draft and has logged 63 games in the NHL with the Stars entering 2018-19…Greatest hockey memory is getting drafted…Started playing hockey at the age of six…Hockey nickname is Smitty…Hockey idol as a youth was Jason Ford…Chose his jersey number because it’s the number he wore in junior…Greatest influence on his hockey career has been his father…Plans to own a business after his playing career…First job was selling chocolates…Proudest achievement is signing his first NHL contract…Favorite charities are those that support sick kids…Most exciting place he’s visited is the blue lagoon in Jamaica…An interesting fact about him is he used to DJ…If he could trade places for a day with another occupation, he would be an NBA player…Also played basketball growing up…Once met Rafael Nadal…Favorite quote is “no guts, no glory”…Favorite food is ribs…Favorite music artist is Drake…Favorite movie is Talladega Nights…Favorite website is YouTube…Favorite author is Robert Munsch…Enjoys vacationing in Cancun…Favorite pro team is the Toronto Maple Leafs…Favorite sport to watch is basketball.